It has been a long silence from me since I came back from Kolkata on 10th August 2009. In Kolkata, I and some of my friends were doing internship under Indranil Das Gupta. Back here in Durgapur, having already missed near a month’s regular college classes, we didn’t receive a nice response from our college authorities. I had a lot of pending college assignments and other stuffs to attend to. I had some really boring long days. This month, I shifted to a new mess in Sarat Pally, St, No. 2, Fuljhore with Harsh and Bama. Although we applied for a BSNL broadband connection in our mess, till date, no response from BSNL. Hope to listen from BSNL this week at least. On 31st August, 2009, I, Kishan and Meejanur went to Bijra High school to see how things are going on there. Bijra High School had got a new temporary computer teacher. We intended on training him to use Linux and other FOSS tools. He agreed to come down to our mess a few times a week, so that he could prepare himself to handle the computer laboratory at Bijra High School. In the computer room, we found that the LTSP server was not booting up, but was beeping continuously when turned on. We opened the cabinet, opened the RAM chip and reinserted it, and the machine booted up fine. Then we tried switching on the terminals, but they didn’t boot up as the DHCP service was not running in the server due to problem with eth0. The terminals 2 was failing to boot due to some problem with the SMPS. Then there was a power cut, so we had to return. I updated IndraDG and Subhodip Biswas on this matter, and Subhodip Biswas plans to visit Bijra High School to fix the issue soon. It has been quite some time I blogged on our ongoing classes. And how are we doing? So far it’s been quite some good experience taking classes in Bijra High School. Hope to make it better and better. Lately, classes were taken in Bijra High School on 4/3/2009 and on 6/3/2009. As always, Bappi gave a nice brief introduction on the basics of a computer. And I spoke on the WHY part … Why to study computers? How it will make their education a fun? How info was shared before the advent of computers , mobiles, phones and what it is now? All this time, Harsh was on the move taking the pics for the day’s Bijra report. We were about to end the class, but we had to end it in an unusual manner when we heard the horn of the 3:15 PM Bus back to Durgapur. I shouted for the Bus to wait, I and Bappi bade them goodbye and ran for the bus. We called others and finally boarded the bus. The students were all gathered near the windows to bid us Good Bye. It was a normal day at Bijra High School, I, Bappi and Harsh went there with our notebooks all running on Fedora 10. It was the previous day’s fiasco in Std. V that made me think that the kids need to enjoy the computers and then start learning the boring theory. So, I talked with Subhodip Biswas and decided to go to Bijra High School with notebooks, to make the classes more interactive. As expected, when we went to Std. VII, the all jumped up to their feet to see us opening our notebooks infront of them. We showed them how to start the computer, how to login, explained the username-password relation with lock-and-key analogy. Then Rangeen Basu Roy Chowdhury and Shreyank Gupta from NIT Durgapur arrived at Bijra High School. Then we continued with our class. We showed the kids some cool KDEedu applications like Marble, Kbruch, played Videos, Songs, pictures, showed them themselves on the Laptop screen with Cheese. In between, harsh was so frustrated that he was dying to teach apart from taing pics. Lucky, for him he found that the kids understood Hindi and he right away dived in to interact with the kids. We did it in groups. They were all elated. Then they were taken to the lab in two groups. There Bappi, Rangeen and Shreyank took charge. 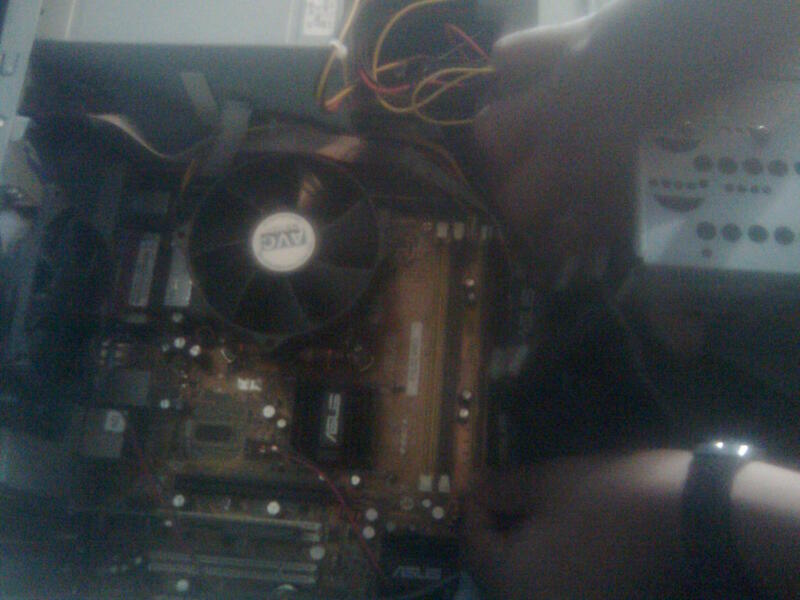 Shreyank also mended the mouse-cut wires of the speakers, and made them functional. He started showing to the students some cool Nat-Geo videos, while others were on the other comuters with Bappi and Rangeen trying their hands on TuxPaint. Meanwhile, I and Harsh went to Std. VI with our notebooks. It was kind of the same response as we received in Std. VII. As in Std. VII, we showed them how to start a computer and do login. We also showed some cool applications like Marble, Kbruch, videos, music and pics. They were all enjoying the class. They now seemed really serious in learning this computer subject. It was around 3 PM that we wrapped up the classes. We introduced Rangeen and Shryank to Nizam Sir, the HeadMaster at Bijra High School. Then we got the 3:15 PM bus to Durgapur.